Amaranth is a grain used to make flour for baking. It is often added to wheat flours to make prepackaged breads, crackers and cookies, according to the Thomas Jefferson Agricultural Institute. 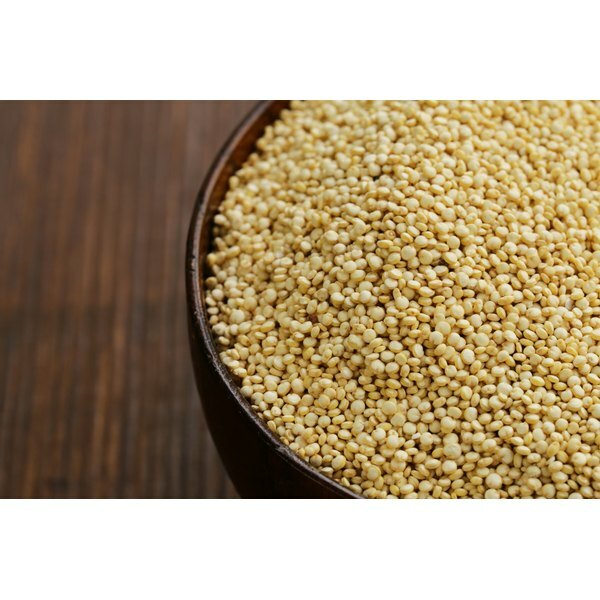 An amaranth allergy will cause adverse reactions within a few minutes or up to an hour after you eat the grain. If you suspect you’re allergic to amaranth, call your doctor for further evaluation. Amaranth allergy is uncommon but does happen. If you’ve been diagnosed with a grain allergy, you may be more prone to an amaranth allergy. The allergic reaction is caused by the immune system mistaking the proteins in amaranth for a dangerous substance. The body reacts as if it is under attack and begins to defend itself with antibodies. IgE antibodies are created to specifically fight off the proteins from the grain. After IgE antibodies enter the bloodstream, mast cells begin producing histamine, a chemical to prevent infections, according to the American Academy of Allergy, Asthma and Immunology. Accelerated amounts of histamine cause inflammation in soft tissue, a symptom of most food allergies. Symptoms can range from mild to severe, and affect everyone differently. The increased histamine in the body can cause sinus congestion, asthma, skin reactions and gastric symptoms, according to the Mayo Clinic. Sinus congestion may be accompanied by sneezing, facial pressure and a runny nose. Asthma symptoms from an amaranth allergy include wheezing, coughing, shortness of breath, chest tightness and difficulty breathing. You may develop hives, eczema or general skin irritation from a food allergy. Gastric symptoms include nausea, vomiting, diarrhea, stomach pain, cramping and bloating. If your doctor may recommend allergy tests to confirm an amaranth allergy. Allergy tests use two basic approaches, according to the American Academy of Allergy, Asthma and Immunology. Blood tests and skin prick tests are used to see if your body creates IgE antibodies after exposure to the proteins found in amaranth. Skin prick tests inject a small amount of the protein under the skin to see if it becomes inflamed. Blood tests use a sample of your blood to determine if IgE antibodies form after the blood is exposed to the protein. A rare, but potentially life-threatening reaction from an amaranth allergy is possible. Symptoms of severe allergy include inability to breathe, a rapid heart rate and mental confusion. If any of these symptoms occur, seek immediate medical treatment.